Richard W. “Ricky” Webb, 65, of Elm City, passed away Saturday. A graveside funeral service will be conducted 11:00 a.m. Wednesday, May 10, 2017, in Maplewood Cemetery. The Rev. Gene Wells will officiate. The family will receive friends 6:00 – 8:00 p.m. Tuesday, May 9, 2017, at Thomas-Yelverton Funeral Home, 2704 Nash St. N, Wilson, NC, and other times at the residence. Ricky was born October 5, 1951, in Wilson County, NC, the son of the late Wallace Wilson and Doris Winstead Webb. He was honorably discharged from the US Army Reserves with 2 years of proud service. 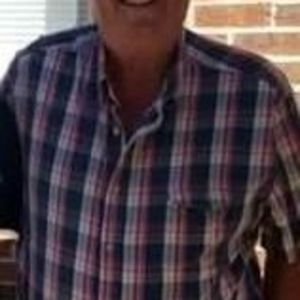 Ricky was the owner/operator of Webb Plumbing for 33 years. He was a 30 year dirt track racing fan, owning S&W Racing for 14 years and W&W Racing for 4 years. His loves centered on his family, plumbing, racing and cutting grass. He was dearly loved and will be greatly missed by his family and many friends. Surviving are his son, Michael Webb and wife, Victoria, of Elm City; one daughter, Amanda Webb of Wilson; five grandchildren, Makenzie Webb, Hannah Jones, Emma Jones, Aiden Jones and Madison Jones; his dedicated girlfriend of 24 years, Wanda Sutton of Wilson; and his beloved “sons”, Brandon Whitley and Randy Dawson, both of Elm City. In addition to his parents, Ricky was preceded in death by two brothers, Wyatt Webb and Wally Webb. Flowers are welcome and memorials may be directed to Disabled American Veterans, VA Regional Office, Federal Bldg., 251 N. Main St., Rm 116, Winston-Salem, NC 27101-3914 www.dav.org.